Cloe Medina Erickson has over a decade of experience in historic preservation and community development, both in the States and abroad. Cloe holds a Master of Architecture and Bachelor of Environmental Design from Montana State University, Bozeman. Serving four years as a volunteer member and co-chair on the City of Livingston’s Historic Preservation Commission Cloe gained extensive experience collaborating with local, state, and federal governments, and citizens to accomplish sustainable community development projects. 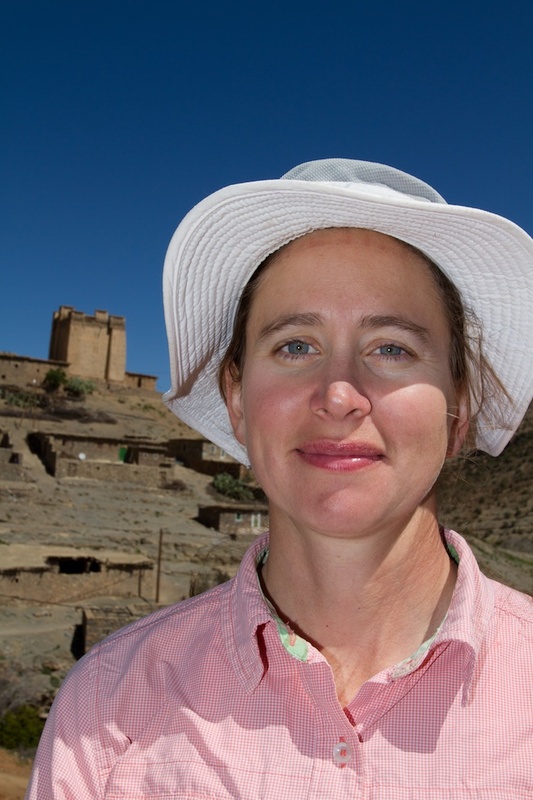 In 2005 Cloe took this experience across the Atlantic, combined it with her ability to speak Arabic and Berber and has since focused her efforts on sustainable community development in Zawiya Ahansal, a remote region in Morocco’s Central High Atlas Mountains. In 2009, Cloe founded the Atlas Cultural Foundation, a non profit organization that collaborates with rural Moroccans in order to improve their quality of life in the fields of cultural preservation, public health, and community education. Cloe has an exclusive partnership with the Moroccan Ministry of Cultural to restore all of the historic structures in the region of Zawiya Ahansal. Since 2009, Cloe has developed and led international service learning and community engagement programs in Zawiya Ahansal in partnership with American universities and the Atlas Cultural Foundation. She has developed programs for Montana State University, University of Wisconsin, Amideast Morocco, the Moroccan American Commission for Educational and Cultural Exchange (Fulbright Morocco), and Rustic Pathways. To learn more about Cloe and her community development work in Morocco, go to www.atlasculturalfoundation.org.